Homegrown Violent Extremism challenges how Americans think about terrorism, recruitment, and the homegrown threat. Security and public policy expert Erroll Southers examines post-9/11 homegrown violent extremism–what it is, the conditions enabling its existence, and approaches that can reduce the risk. 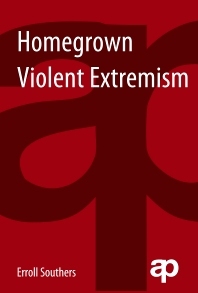 The book contains essential information for communities, security practitioners, and policymakers on how violent extremists exploit vulnerabilities in their communities and offers approaches to put security theory into practice. security practitioners; policymakers; criminal justice students. 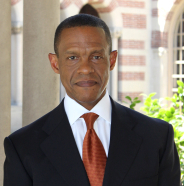 Erroll Southers is an internationally recognized counterterrorism and public safety expert. He was a presidential nominee to lead a federal homeland security agency, a governor’s appointee to the California Office of Homeland Security, Chief of Homeland Security and Intelligence at LAX, and an FBI Special Agent. Southers is currently associate director of a national security research center at the University of Southern California, an adjunct professor, and a consultant to governments and firms around the world.